It's funny how as soon as one gets a fancy coffeemaker, they instantly become a connoisseur of the finest brews, when before that they were happy with Folgers Columbian. As someone who went through this transition a few years ago, I can tell you my obsession with collecting K-cups hasn't really subsided. But now I'm trying to determine the role of water in single-cup coffe brewing machines. ...if your tap water has an unusual flavor, that taste will permeate your favorite brew. If you find your tap water tastes good at room temperature, it is probably the right choice for making coffee. If your home water isn't up to par for your coffee brewing then it would be best to install a home or office water purification system or to consider contacting your local Colorado bottled water delivery company. Did you know that there are certain recommendations for Keurigs at high altitude? Well, there is! Read more. Is It Necessary to Use Bottled or Filtered Water to Make Great Coffee? The cleaner the water, the more robust the coffee taste will be. The last thing you want to brew your coffee with is any type of water that will change its flavor. Some of the nicer coffeepots come equipped with replaceable charcoal filters, which can also help with the taste of the water. One thing you will want to avoid is distilled water because it's missing so many of the minerals that make water a pleasure to drink. When you consider the fact that warm liquids tend to stimulate the taste buds, it is even more important to taste the water ahead of time. According to some coffee enthusiasts, bottled spring water is the best way to go for coffee brewing. Ask anyone who has done a taste comparison between regular tap water and spring water. Most agree that the difference makes it worth the extra cost of buying spring water for your coffeemaker, even if you don't use it for drinking water. Depending on where you live, tap water can contain some harmful agents, but there are some areas of the country where the tap water is exceptional. One can only imagine how many chemicals would be needed to keep the tap water in a major metropolitan area free from contaminants, but many of these can be reduced or eliminated by using a good home or office water filter. The most convenient filters are the kind that are housed within your refrigerator's water dispenser. If you don't have one of these, try a Brita or Pur filtered water pitcher. Even the Keurig website states that "Bottled or spring water works best when brewing with your Keurig." Why? Well, as their maintenance guide aptly puts it, "As hard water passes through the brewer, it produces deposits of scale or lime. This reduces the life and efficiency of the equipment, and affects the brew flavor; bottled or filtered water should be used to solve this problem." Since we know that coffee's main ingredient is water, it's clear that the water you use to brew it will make a huge difference in how it tastes. This is true whether you use an automatic drip coffeemaker, single-cup brewing system or French press. The best way to see this for yourself is to do your own blind taste test of the coffee. Where Can I Purchase the Best Water in Colorado for my Keurig? There are a number of water delivery companies serving Colorado Springs and Denver. 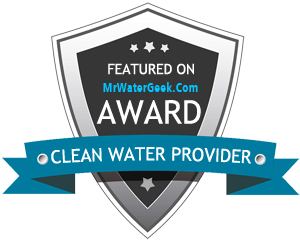 Most of the top local water delivery companies - including us - offer you a free quote for water delivery in Colorado Springs and Denver areas. If you love coffee as much as I do, it's a small price to pay to get the best water possible. Also, you wind up drinking more water which is a definite plus as well. Who Makes the Best K-cups? I realize that this has nothing to do with water, but while we're on the subject of new coffeemakers, I'm still trying to find the best place to buy gourmet k-cups. Now that I own a new Keurig and I have that little "K-cup carousel" thing on my kitchen counter, I feel obliged to keep it filled with the tastiest selections. One thing I noticed right away was the cost. If you're like me and you drink 3-4 cups of coffee every day, having a Keurig can be a bit pricey. Here is a good rule of thumb: don't buy your K-cups at full price! Whether you prefer plain-old Folgers or Starbucks Verona, look for discounted K-cups and shoot for a cost-per-cup of less than 60 cents. Check out our sister company Colorado Pure if you are searching for the best Colorado Springs business coffee delivery service for great prices, the latest most popular single-cup coffee makers and the best tasting coffee in Colorado. Or click here to contact them via email.